This 4th issue of Hyperrealism Magazine is just amazing! You will discover a lot of awesome artists and new contents, we’re sure you’ll love it. We had a little talk with Nathan Walsh in our “A Tea With…” about his wonderful art and his September solo exhibition in the Bernarducci Gallery. There are also interviews with outstanding talented artists, such as Chris Klein, who reached amazing achievements recently, Bernard Prillieux, who told us about his uncommon life and the way he started painting, Dany Salme, who explained us his particular style and artistic background, and Andreas Bianchi, who talked us about his still-lifes. Other wonderful featured contents of this issue: an article about Amy Laskin, who made us dream with her beautiful Jamaican landscapes, and Gerd Lieder, who fascinated us with his fashion and glamour artworks. Other two featured artists that we’ll know better in the next issues are Paola Boni, who mixes Pop Art and Hyperrealism in her still-lifes, and Carina Francioso, who makes incredible and amazing sea close up paintings: you must take a look to their works! Kit King should have been in this issue with an interview, but because of personal problems she postponed it to a better time. So, we decided to conclude this number with an article about her. 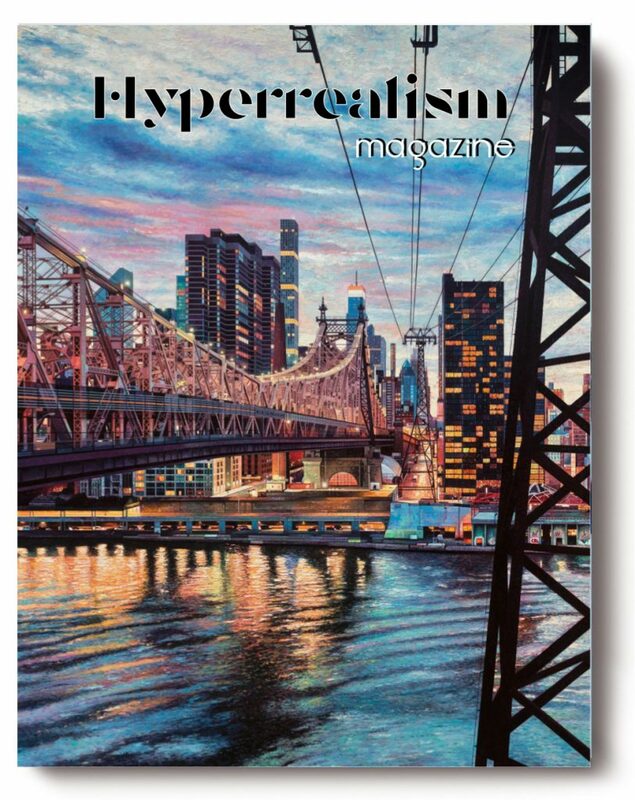 All this and many other exclusive contents in this outstanding issue no.4 of Hyperrealism Magazine! Digital and print version will be officially out on September 14.